The brief for this project was to create a modern shower room, that would stand up to the pressure of being used several times a day. We began by calling round to the property to survey the room so we could make suggestion on what could be done. Our engineers started by removing the existing suite and disposing of the rubbish. From there the shower enclosure went in, to help this with the riggers of dale showering we used Bushboard panels on the walls to make them easy to keep clean. 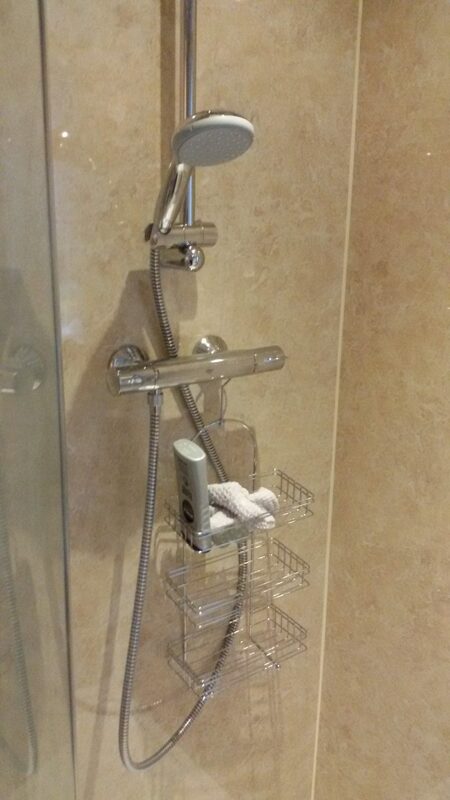 It was a high pressure water system in this property therefore we also installed a Grohe thermostatic mixer shower. Because of the build quality and five year warranty means showering in luxury for years to come. 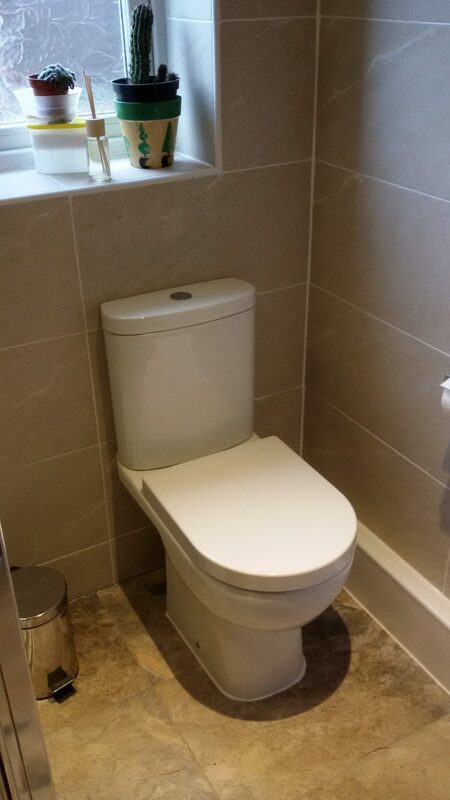 To continue with our work we then install a short projection close coupled toilet. 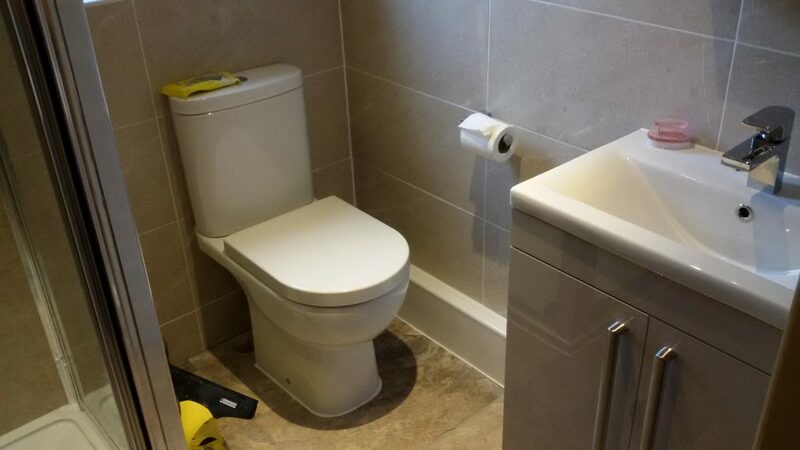 Due to the size of the room it was important to make the most of every inch. 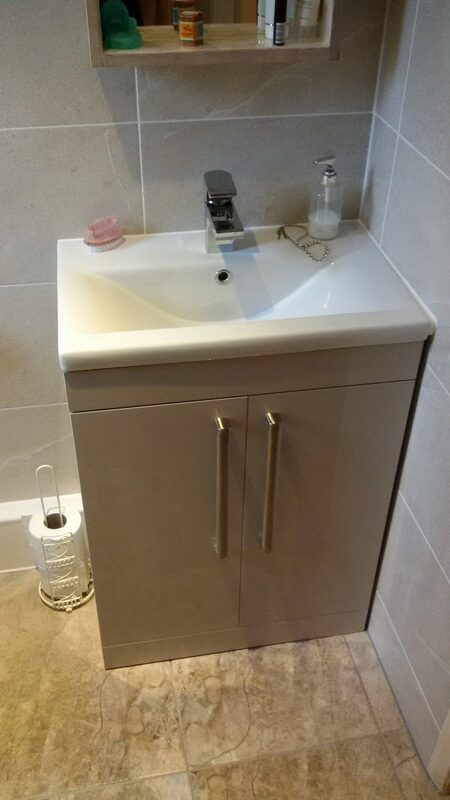 In addition the vanity unit was fitted giving much needed storage space opposite the shower. We continued by fully tiling the remaining walls and floor. Further more we installed the LED spotlight and extractor fan to help with condensation. 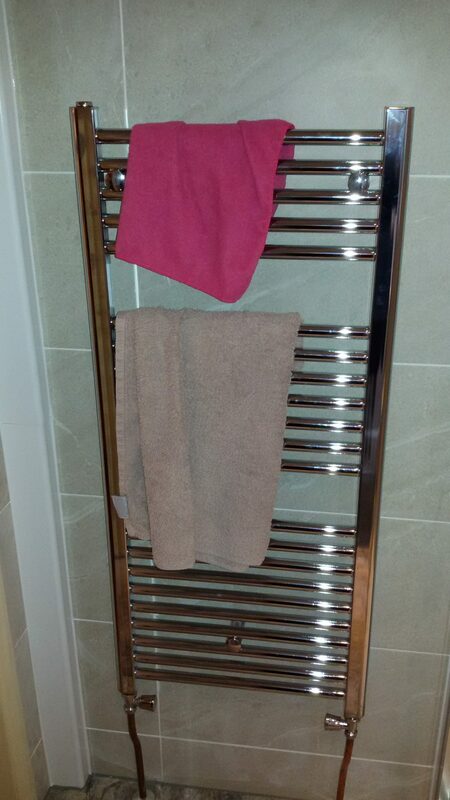 Finally to complete the heated towel rail and shower enclosure were fitted.